Our factory is also considered one of the best-managed factories in the industry. factory audits such as BSCI, WFSGI, ICS, etc. The key quality of artificial grass lies in its lifespan and safety, especially when you put it in your garden. CCGrass chooses the very best quality of raw material with strong UV stability to make sure our grass keeps fresh & green over years. In addition, to avoid health threats during contact, CCGrass products are proved to contain no lead, no heavy metals or any other harmful chemicals according to the highest safety standards, such as DIN, REACH, RoHS. 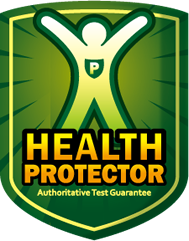 It is even safe for kids and pets. Diverse shapes and colors monofilaments designed according to the profiles of natural grass in different areas all across the world. 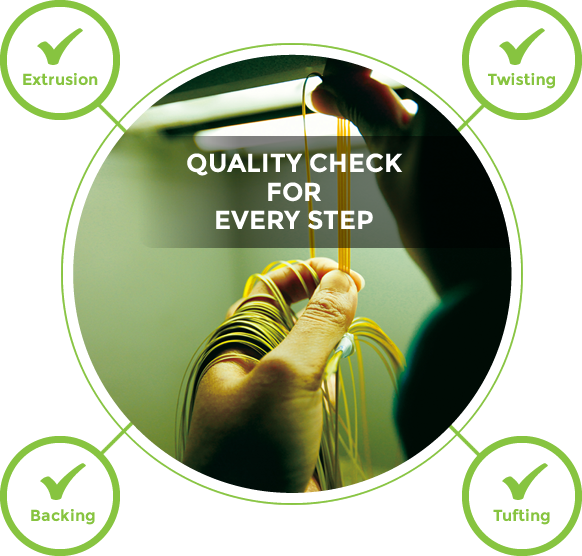 Uniquely designed curling fibers to best imitate the vegetation growth in nature, which contributes to a soft and resilient surface and support the straight fiber. Multilayer backing structure to exaggerate dimensional stability, easy installation and convenient maintenance. 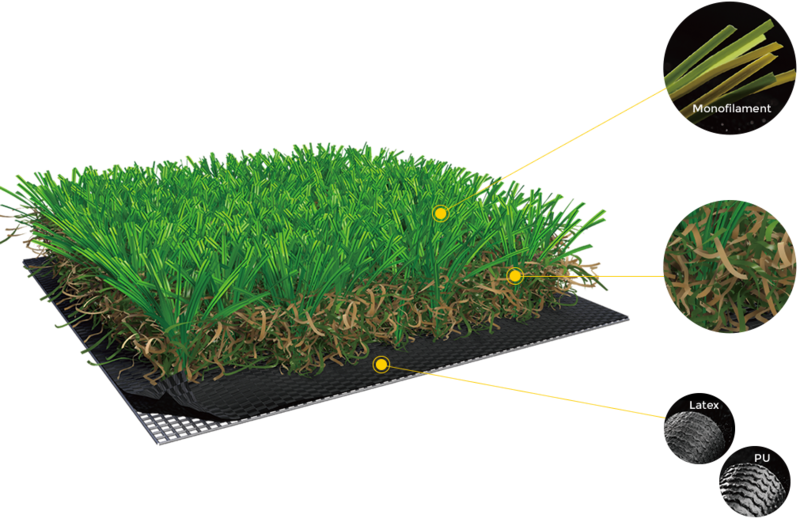 AS A FIFA PREFERRED PRODUCER, CCGRASS LANDSCAPE CARRIES THE STRONG TECHNOLOGY FROM SPORTS GRASS. WHAT IS FIFA PREFERRED PRODUCER? The FIFA Preferred Producer (FPP) initiative was introduced in 2009 in response to demand for higher quality not only in the product itself but also in the installation process of football turf. 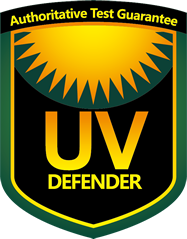 The overall objective is to protect the interests of consumers when purchasing pitches and to ensure the football turf pitches meet high requirement with regards to quality, performance and safety. 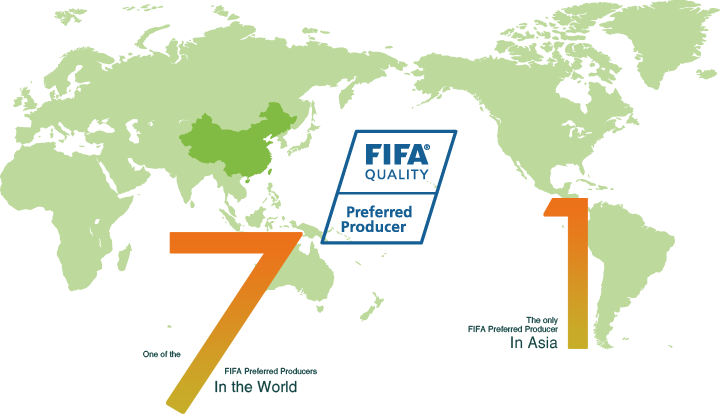 CCGrass is one of the seven FIFA Preferred Producers in the world and the only one in Asia.